Former FBI Director James Comey moved Thursday to block a subpoena from the Republican-led House of Representatives, saying the closed-door interview demanded by lawmakers would be selectively leaked for political purposes. 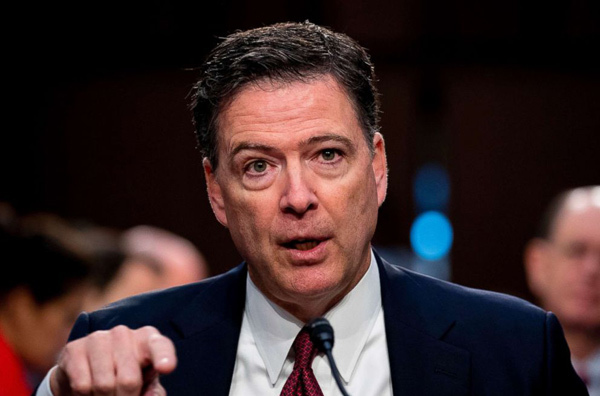 Comey was subpoenaed earlier this month by the House Judiciary Committee to discuss FBI actions and decisions in 2016, including the decision to not recommend criminal charges against Hillary Clinton for her use of a private email server. The FBI also opened an investigation that year into potential coordination between Russia and the Trump campaign. Comey, who has testified multiple times about both investigations on Capitol Hill, said last week that he would be happy to testify in a public hearing but would refuse to appear at a closed-door, private interview. The interview had been scheduled for Monday, but Comey's lawyers asked a judge Thursday to put off his appearance and also to spike the subpoena. As set forth in Comey's motion to quash the subpoena, his lawyers wrote, "Mr. Comey's testimony will be subject to selective leaking by members of the Judiciary Committee in furtherance of the Committee's abuse of these proceedings and harassment of witnesses who appear in closed-door depositions." They said House committees had been leaking to "support a false political narrative while subjecting the witnesses to a variety of abuse." They attached a series of news articles about closed-door congressional interviews that they said had been based on leaks. House Judiciary Committee Chairman Robert Goodlatte, who sent the subpoena, tweeted Thursday evening that Comey "believes he deserves special treatment, as he is the only witness refusing to either appear voluntarily or comply with a subpoena." Goodlatte added, "What is Director Comey trying to hide from the American people with his baseless motion to quash?"